These are picked, sorted, packed and stored, in the end to be good for sell. 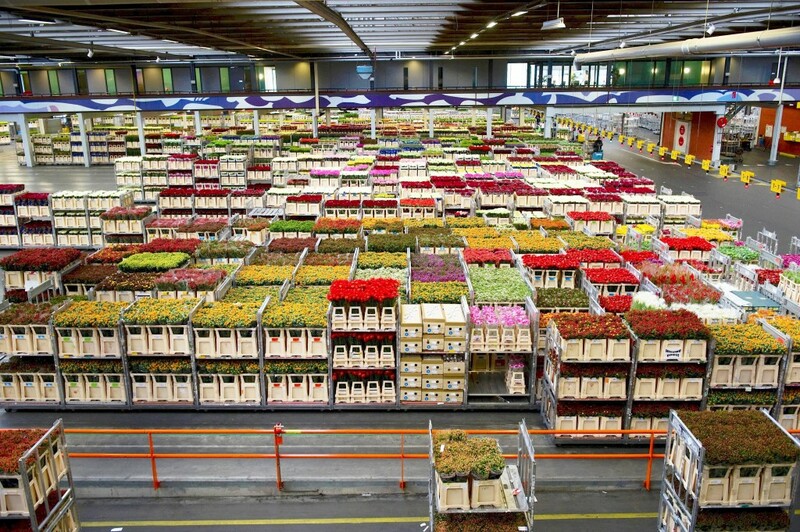 In Romania, more than 90% from sold flowers are imported, Holland and Turkey being the most important exporting countries. But, for these to arrive in good conditions to customs, it is necessary an authorized transport with special vehicles, adapted at long rides. We provide the best quality for flowers transport services, considering that Luna Transport is specialized in transport with optimal temperature for flowers and plants. So, beside on the large experience of the company, we have also special vehicles with thermos-chart and GPS system for permanent monitoring. The fleet is composed with minibus, vans and trucks of 3t, 5t, 7t, 12t and 20t. More than that, our staff has experience with flowers transport and, they deliver, always, in time the carriage. Because we are passionate of what we are doing and because we want to offer satisfaction to our all partners, our services of flowers transport are complexed and qualitative as much. Having sobriety and professionalism as arguments, we provide contracts with more than 80 clients from entire country, and experience with various providers from Holland. Each truck has two drivers, a necessary condition for the transport in optimal conditions and in time, as well. They have a special care for flowers reach the destination in excellent conditions, no matters if is about national or international road. To keep the quality during the internationally transport, flowers are stored in trucks equipped with modern and efficient air-conditioning systems. Which advantage have I you choose our flowers transport services? First, you will have a sure, fast and monitoring transport, till the arrival time. We offer CMR warranty for wares, permanently dispatch for clients, but low costs. So, if you need intern flowers transport or in Europe, our company represents a confident partner. For more details about our services, don’t hesitate to contact us. Are you looking for flowers transport? Luna Transport has an auto park, completely equipped, and personal staff with experience too. We provide international flower shipping, with vehicle air-conditioning systems for controlled temperature. loading in all stock markets in Netherlands. The flowers are perishable goods, so that, in order to preserve the quality during transport at large distances, it is necessary that fresh flowers and plants to be transported in trucks equipped with air-conditioning systems, specialized in high technology. We work together with an extensive network of clients and we provide transportation of flowers at destination, anywhere in Romania. Each truck has two drivers, in order to ensure prompt delivery of flowers. Our activity is based on the logistic experience, on people who are dedicated and passionate about what they are doing, everything to ensure a fast and qualitatively transport till the destination. We have a constant concern for us to operate at the highest level and get involved in what we are doing, trying to help the evolution of your business. Call centre available 24/7 for our customers. We offer weekly international freight transport to and from: France, United Kingdom, Netherlands, Germany, Austria, Switzerland, Denmark, Sweden, Norway, Finland, Czech Republic, Poland, Hungary and Romania. We also provide express domestic transport, partially or completely. We have our own fleet of trucks MAN, Mercedes, Scania, 3.5t and 7.5t, 12t and 20t, insulated, equipped with air-conditioning systems that can maintain a controlled temperature in case of transport of perishable goods, food, plants and flowers, electronic components, medicine. Also, we transport goods on pallets and textiles on standers. Our company offers you the most advantageous services of plants transport intern and internationally. Being specialized in climate transport of agricultural products such as plants and flowers, we can come up to the expectations of our clients and partners every time. Our activity started a decade ago, and since then, we upgraded our auto park and auto-climate system, so, in present, we can transport plants to any destination, in the best conditions. Our vehicles which we use are various and have different capacity for each kind of transport. More exactly, we have own fleet with Scania, MAN or Mercedes trucks with the capacity of 3,5t, 7,5t, 12t or 12t. Also, we can operate transports by minibuses and vans. All these are insulated and are equipped with climate system which keeps optimal temperature for various perishables, plants and flowers, foods, drugs or electronics components. The wear is packed and stored with attention on pallets, so this will reach the destination in excellent conditions. In addition, we take the responsibility of any damage which can affect the transported products by CMR insurance policy, so you have nothing to worry about. All vehicles are equipped with GPS system, so the transport is constantly monitored, and you have the possibility to be in touch with its trajectory in real time. Regardless of the type of plants, our team makes efforts necessary to keep them fresh. So, at Luna Transport focus on efficiency and fastness, especially when is about far destination. Therefore, in case of you need a company specialized in plants transport, we are at your disposal.